Effortlessly produce professional-sounding masters in an elegant all-in-one package. An intuitive, modern workflow is centered around creativity, with real-time visual feedback in every module. 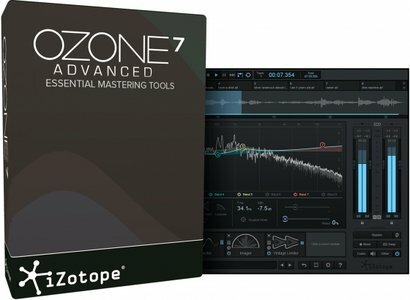 Elevate a good-sounding mix to a professional-sounding master with Ozone. iZotope’s critically acclaimed mastering software has all the tools you need to produce a full and polished sound. With a striking new interface and a modern workflow, Ozone 6 both guides and inspires your creativity at every step. The most complete mastering platform available has never sounded better. Reinvent timeless sounds with the surgical precision of digital software. The reimagined Ozone 6 user interface makes it even easier to dial in the professional sound you want. Important features are right at your fingertips, and enhanced workflows offer finer control over your results. • Get essential mastering tools: Equalizer, Dynamics, Maximizer, Exciter, Imager, Post Equalizer, Dither, and Dynamic EQ [Advanced only]. • Harness the sonic texture of classic analog gear with even deeper digital control. • Make smarter mix decisions aided by robust, real-time visual feedback throughout all modules. • Quickly achieve authentic sounds for any genre with a comprehensive bank of presets. • Master your audio within or outside your audio editing software with both plug-in and standalone options.